Scrapbook Bakery Blog: Cards for Grace & prize pack! Cards for Grace & prize pack! Wanna win? Just leave a comment below telling me if you are going to create and send a card for Grace...and I will enter you in the drawing for a chance to win this prize pack. 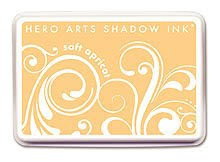 If you leave a link to your blog or gallery showing me your card or cards, I will enter you again into the drawing! The drawing ends July 31, 2010. 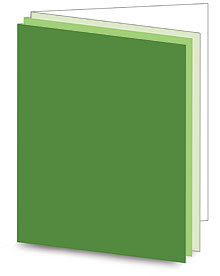 I will send some cards for sure....I hope n wish it would make someone smile, it would be so very useful then.TFS. You are a sweetheart. Love your crab cards! ;) Cute! You are such a sweetheart! The crab cards are so cute!! 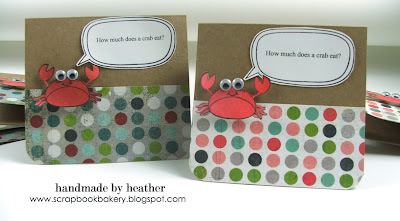 Heather your crab cards are just adorable- love the joke! I am planning on making a few cards for Grace over the holiday weekend- would love to help put a smile on someone's face! I feel so bad for both of these little girls. I have been meaning to make a card for this drive but I've been so busy. I'll find the time somehow! I am making a card for Grace tomorrow night [Thursday is my stamping night]. I already have it all sketched out and I am so excited! Yes! I have to. I missed the most recent Card for Kids card drive, so I have to participate in this one. I'm going to take some inspiration from you and do something humorous or interactive. THanks for the opportunity to win some goodies! I definitely plan on sending atleast 5 cards to grace. What a hard time for this little doll. Thanks for the great giveaway heather. Love your sample idea, the crab is so cute! Will definately be participating in this drive. 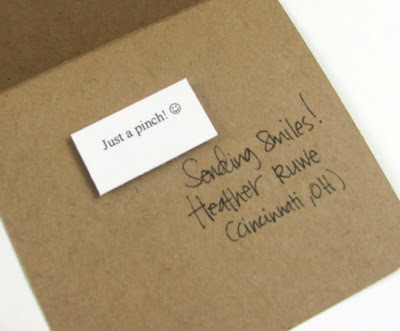 One card is one smile is a great way to think about it! What a nice thing for you to help generate excitment with your prize! This will give my card making a whole new sense of purpose. Thanks for the cute card idea! I am going to add this to my to-do list. The poor little thing. Your crab cards are awesome! So cute! I am participating .. it will be the first for me... but anything to make a child smile. Heather you are very generous! I loved your crab card so I am sure Grace will too. Off to make some cards for such a good cause. Love the crab theme! I am definitely planning on sending some .. and for the other kids too. Thanks for the chance to win and for spreading the word. From 1 heather to another ;) you can count on me. I went card crazy a few weekends ago and am definately getting some out for Grace!! I love your card and the joke is super cutsie!!! I'm on my way to making a few cards for Grace!I'm also going to stamp some fun, cute images so she can color them in herself! Love that idea(from Jennifer)!! My kids and I are going to make some cards for Grace and the card drive. If I can get past this holiday weekend, I have a good shot of sending at least one out. Definitely sending a card to Grace. Love the inspiration-would love to seem some more child oriented cards. 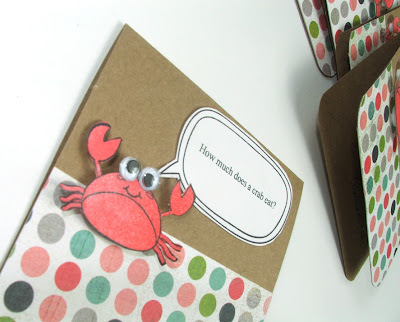 i love these crab cards, so very cute! i read all about Ellies story and am hoping to make a few cards for Grace this weekend - i have just the stamp in mind! Love your crab card, will be making a few cards for Grace this next week, can not imagine how hard this must be for her and her family. I have posted about this on my blog as well and I am definately sending a card for Grace. Having twins myself I can not imagine this. Heather, you are so generous and your cards are adorable. I definitely am going to make cards for Grace. I have started a Cards For Kis service project for my scrapbooking group, and we are making cards for all the kids on July 17 an will be sending them to Jenniger. This is just too dear of you....I will send off some cards for Grace first thing in the morning. Her family's story is so touching. Bless you for doing this! You can count me in. Thanks for the idea. I don't have that crab, but I have the cutest little hermit crab stamp I could use..or..or..or..the wheels are turning. Since I have 13 young grandchildren, I should be able to come up with plenty of ideas. I definitely am sending her some cards. I have a cute monkey stamp that'll be perfect. Hi Heather...I have a package of cards ready to mail tomorrow. Thanks for your generosity and giving spirit! You are so generous to add prizes for such a wondereful outpouring to a young girl. I put three cards in the mail today and shared the address tonight with my scrapbook group. 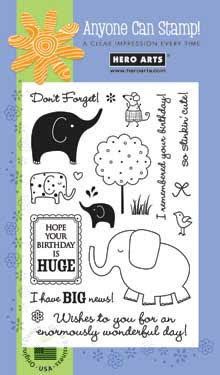 I have been eyeing the elephant stamp set to use for cards for kids. Thank you so much! I have five sitting on the table to go out to Grace. I do little jokes on mine too. There are so many corny jokes for kids online. Thanks for all you do. Sending cards for Grace by week's end...this is such a great cause and who doesn't love to make a child laugh and smile? The crab card is adorable! :) Thanks for the opportunity Heather (and Jen too). To all of you wonderful card makers with such big hearts, I am honored to be among you. Oh, your card is just adorable! Absolutely I am going to try to make at least one. I will be sure to come back here and give you the link when I post it. Love the idea of putting a joke in the card. I will be making a card for Grace as well. 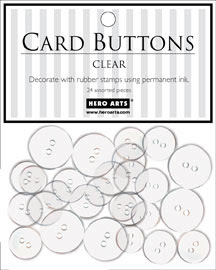 thanks for the suggestion of using the bubble stamp to frame a joke--great idea for kids' cards! I make cards with my young grand-daughters and tomorrow I will tell them all about Grace and we will make cards for her. A child's viewpoint is always refreshing and they come up with such original ideas. I will be working on cards for Sweet Grace this afternoon. Thank you for your generous prize offer! Love your cards. And I'd love to make one for Grace. My heart went out to her. You have such a generous heart. My boys and I will definitely be making and sending cards for Grace. Yes! i am goin to send grace some cards-smiles :-) going to a family reunion and when i get back will get right on it! you are sweet to promote this so well! Just posted a link on my blog for this card drive for Grace. Thanks for your help with this! I made a card and will post it soon! Nice card, Will try to do it this week. These are great Heather. I will be adding to this card drive again and trying to get my cards out to Grace before July is over. Thanks for all that you do in this great ministry! God Bless! I am so excited that I recently found your blog. Oh, it is wonderful. I keep coming back for more inspiration. I love it. Thank you so much for sharing your great work! My daughter and I are working on some cards to send too. Such a great cause! So many ideas b/w you and Jenn McGuire! Definitely will include some cards for Grace! I have an old Stampin Up set -- Pun Fun -- that is good for kids cards or I may make the knock knoc booklet/card that Papertray has on its blog. 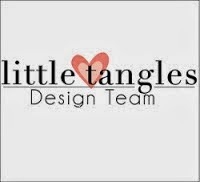 Have made that before too and is very cute. Thanks so much for bringing Cards for Grace to my attention. I have a very dear friend that has a daughter battling cancer, so this is a very meaningful project for me. Count me in! I hope I will get more time by sunday...to make more.Thanks agn. 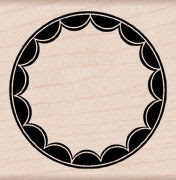 i'm already made a set of cards from a free printable online. i just have to photog it and leave link later. currently working on a few others cards for the kids card drive. thank you for your nice incentive blog candy! Sent my card this morning to Jennifer. I sent her this card that I made awhile back of a little girl holding ice cream that I posted on my blog back in mid June. 30 DOI- Day 30 & turning 30!